Timmermans Strawberry beer is something that i had never really taken seriously, mainly because it always thought it was a bit too sweet and as bad as it sounds, something Emily would order (she is very partial to a bit of fruit beer), so when i had the chance of trying some again* I decided to put my blogging hat on and give it a proper go. The first thing that strikes you about the beer is it comes wrapped in some rather fancy paper, the paper has all of the usual beer info on as well as a rather long story about the history of the beer – it was quite interesting and would certainly make it stand out on the shelf. 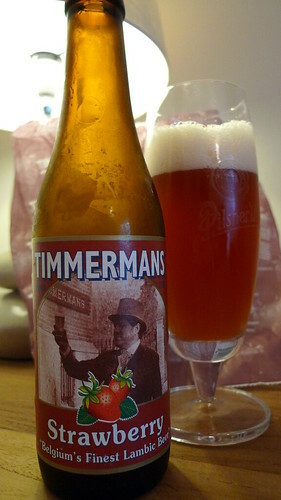 Timmermans Strawberry pours a very pink colour, with a huge foamy head, so take care when pouring it. 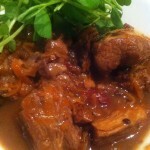 The aromas hit you straight away, it smells very sugary and huge wafts of strawberry wiht a hint of yeast fill the air. 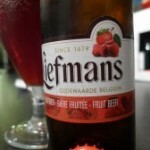 It definatley tastes like strawberry but more strawberry chews than fresh strawberries, sweet but not to sickly, with that very distinct belgian taste. 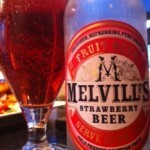 As you drink it more and more strawberry hits you, it has a lovely bitter sweet finish. If you are into your fruit beers then it is certianly worth trying, it isn’t a beer you could drink in pints, nor is it a beer you could drink all of them time, but it is a very good fruit beer. I would like to apologise for the uninspiring photo it’s that time of year when my strawberry patch looks more like a paddy field so any ideas i had involving photos of the beer and strawberries went out of the window. *After all of the fuss that has been going on in the USA over bloggers receiving products and giving them biased reviews i would like to state that this beer was sent to me courtesy of R & R.